The circuit includes two NE555 timers, where one of them is incorporated with the capability of 15mins/30mins OFF time and 5 seconds ON time in astable multivibrator configuration. It has the ability of self charging, if the battery power reduces. Also, I do not see the LED which indicates that the battery fully charged. Otherwise, the battery may get over-charged. Good Morning sir. There is no requirement of LED in the circuit because the charging circuit automatically disconnects the battery from itself and connects it to the pulse circuit. Anyways, I have included a green LED to represent a fully charged battery and uploaded it in the new entry. Since I am a new entrant in the freelancer community, I don't know to update the current entry. 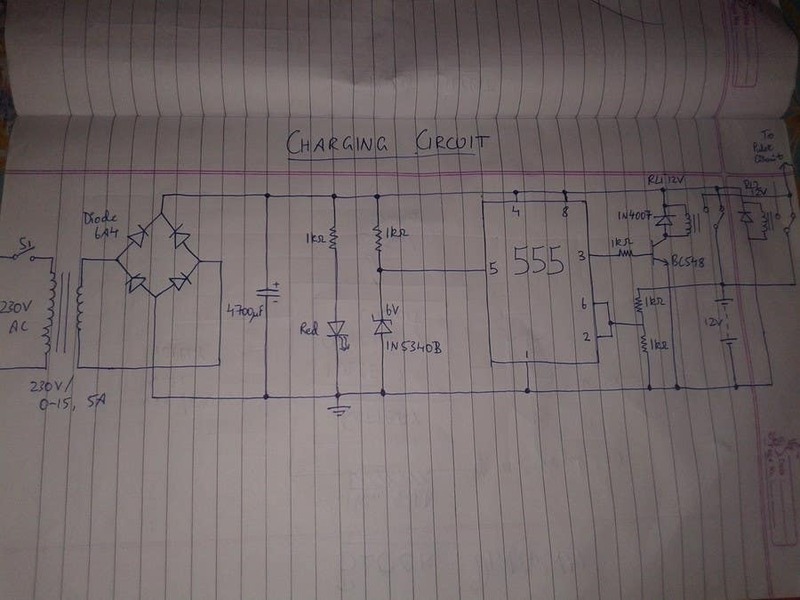 That is why, I have updated the circuit as a new entry. So, please consider the updated version. Did you try this circuit on a simulator? If yes, what were the results? Yes sir. I have simulated the circuit in Everycircuit App in my mobile. The results were as expected with automatic charging and discharging.